This blog is part two of a series about mothers and daughters who share GFWC membership. Click here to read part one! 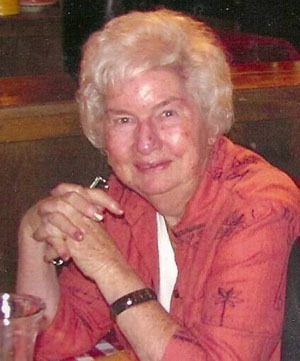 Mary Russell recalls that her mother, Madaline Prior, became a member of the GFWC Colorado Woman’s Citizenship Club in the 1970s. She would spend hours trimming canceled stamps, a GFWC Colorado fundraising project, while watching old movies. “Every now and again I would see her with the ladies, attending meetings at our local hotel restaurant. She made a point to ask me to join many times but I was busy working, raising a family and just didn’t seem to have enough time,” Mary said. But soon, Madaline’s belief in volunteer service passed on to Mary, who joined her mother’s club in 2006. “I started to be one of the ladies she lunched with! 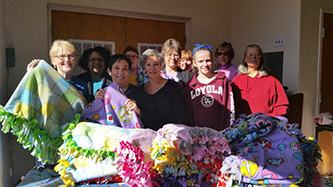 We had a great time together working on various projects in the community,” Mary said. Madaline passed away in 2009. Mary is so grateful to her mother for opening up a whole new world for her through GFWC. Marietjie Robberts is a fourth generation clubwoman. Her great-grandmother was a founding member of a club in South Africa. Marietjie’s mother, Ella Lochner, will be turning 98 at the end of May. Tina O’ Connor’s mother, Lela Mac Buster, belonged to the Las Fidelis Study Club of Levelland, Texas for sixty-four years. “When I retired from teaching, she wanted me to join and I did. It is a decision that I have never regretted! Federation is now a very important part of my life as well,” Tina said. As a child, Tina knew her mother’s club work was a vital part of her life. It was part of who she was. “As I became more and more involved; my mother, as mothers are prone to do, became increasingly proud of me. I give many programs and she was my biggest fan and encouragement. Being in a club together brought us closer together,” Tina said. “Mac” Buster continuing attending club meetings until the end of her life even though she had terminal cancer. Tina would help her dress and take her to meetings, as her mom never wanted to miss a meeting! She attended her last club meeting in December 2013 and died in January of 2014, at the age of 89. Tina has continued to be active in GFWC. “I’m sure my mother would be extremely proud that I am continuing her legacy as a Federated club member,” Tina said. Cynthia LIngo Angermeier’s great-grandmother, Annie Green Voshell, was elected president of the Rising Sun Community Club of Delaware when it was in was established in 1915. A picture taken at the gathering shows a small child sitting on the lap of one of the members. “The child was my mother, Margaret Voshell Lingo, who had just had her first birthday. The picture also includes my grandmother, Bertha Mason Voshell,” Cynthia said. Cynthia’s mother was honored as a 50-year member in 1998. She continued to be as active as possible until her passing in 2011. “I am proud to have served as president of this wonderful dedicated group of women and to continue our family legacy,” Cynthia said.